Отличная карта! Некоторые дороги уж сместились как и деревни, но местность на высоте! This map contains territory of China, of Kazakhstan, of Mongolia, of Russia. You can find here city Gorno-Altaysk download for free. city Zyryanovsk presented. Displayed city OElgiy marked. Displayed town Belokurikha free download. town Altayskoye for Garmin. Displayed town Kosh-Agach for Garmin. town Onguday marked. On this map town Shebalino presented. On this map town Soloneshnoye presented. town Kyzyl-Khaya download for free. On this map town Ust'-Koksa marked. On this map town Ust'-Kan free download. town Aktash presented. On this map town Chemal free download. You can find here town Aya marked. 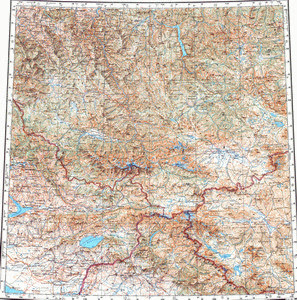 On this map town Maleevsk marked. town Ust'-Ulagan for Garmin.